WHAT ARE THE FACILITIES PROVIDED TO NURSES IN UK HOSPITALS? Nurses have an important job, they can make a patient ‘s healthcare an experience. The UK has one of the most revolutionary and progressive healthcare systems in the world. Nurses and midwives who are trained and want to work in UK as a nurse must gain professional registration with nursing and midwifery council (NMC). There … Continue reading WHAT ARE THE FACILITIES PROVIDED TO NURSES IN UK HOSPITALS? ENGLISH-A MUST FOR SUCCESSFUL CAREER. As we all know that, English is the only language which is a medium of connection between people of different region, culture, language and countries. The seeds of English were imparted by Britishers in most part of the world where they ruled a few years ago. Indeed, they Gave a common language to the world. … Continue reading ENGLISH-A MUST FOR SUCCESSFUL CAREER. IS PTE ACCEPTABLE IN UK AND US? The Pearson Test of English (PTE Academic) is the English test trusted by universities, colleges and governments around the world. It is the English test for study abroad and immigration. PTE Academic is the fast growing English test accepted at leading universities. PTE academic is also accepted for VISA purposes by the Australian and New … Continue reading IS PTE ACCEPTABLE IN UK AND US? How will BAFEL help me to crack my interview? Nervous? Confused? Tensed? No need to worry about your interview because BAFEL is here to give 20 sessions of the interview in which our mentors will gauge your level and train you according to your requirements. In each and every session our trainers will give you tips and techniques to prepare you for the interview … Continue reading How will BAFEL help me to crack my interview? 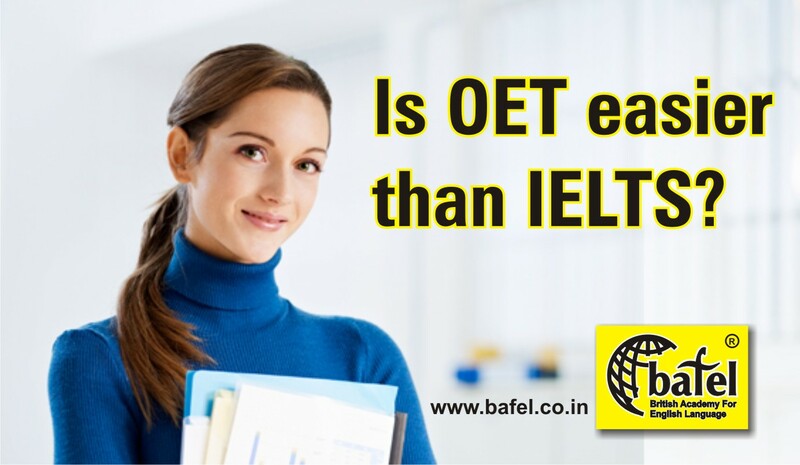 Is OET Easier Than IELTS ? OET- THE OCCUPATIONAL ENGLISH TEST, it is related to healthcare sectors and for the professionals who wish to register and practice in an English speaking environment. In short, speaking and writing made easy for nurses. IELTS- THE INTERNATIONAL ENGLISH LANGUAGE TESTING SYSTEM. It is the most popular English language proficiency test for higher education and … Continue reading Is OET Easier Than IELTS ? Why OET is a better choice for nurses? 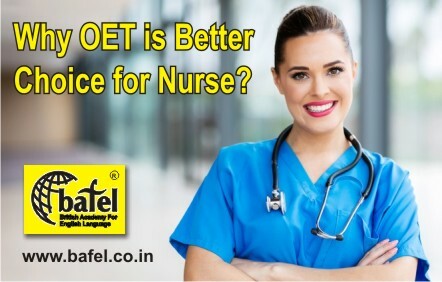 This is the most common question which is asked by every healthcare professional “Why OET is a better choice for nurses?” BAFEL strongly recommends OET over IELTS, as writing and speaking skills are profession specific which healthcare professionals use in their day to day life at work. OET is medical English used by healthcare professional … Continue reading Why OET is a better choice for nurses?